MTNOPS - Freeriding into the Future. Built using many custom Drupal modules and functionality, the full MTNOPS site will be released to correspond with ASR retailer show in early fall 2008. 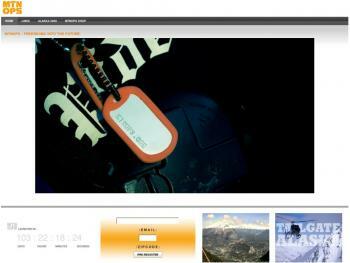 As of now, the functionality of the site allows the user to view links, news and videos related to the snowboard community in an innovation way, while sending the traffic to the original site much like a portal. This functionality was built with CCK, Views and Themes, allow the end user to anonymously vote items up or down (Nods), sort by Date, Nods or Video content. The videos can be streamed directly from the links/news dashboard or you can simply click the video to open up the Thickbox effect to the original content. Much more is in the line up and already coded for the site.